Richard G. Convicer concentrates his practice in representing clients in tax disputes before the Internal Revenue Service and state taxing authorities. He is a former trial attorney for the Office of District Counsel, IRS where he represented the IRS in court and advised examiners, appeals officers and criminal tax investigators in a variety of civil and criminal matters. He has over 30 years of experience in representing clients in federal income tax and employment tax matters before the IRS Examination Division, Appeals Division and the United States Tax Court. He has extensive experience representing clients in federal tax criminal investigations before the IRS, the Department of Justice, and the United States District Court. He has resolved many sales and income tax audits, appeals, and criminal prosecutions. He also appears frequently before the IRS Collection Division to negotiate installment agreements and offers in compromise. He served as adjunct professor at the University of Hartford Graduate School of Business teaching IRS Practice and Procedure. In addition to taxpayer representation, Attorney Convicer has developed his practice in tax planning for businesses and individuals, including business entity planning and estate planning. He chaired the LLC Subcommittee of the Connecticut Bar Association which authored and monitored passage of the Connecticut Limited Liability Company Act. 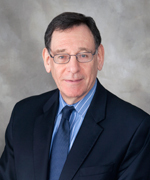 He is the co-author of Connecticut Limited Liability Companies: Forms and Practice Manual (First Edition), a resource for lawyers and accountants regarding the LLC structure. Attorney Convicer has lectured extensively on issues involving limited liability companies. Attorney Convicer received his Juris Doctor degree with honors from Boston College Law School. He earned his Masters of Law in Taxation degree from New York University School of Law. He is a Fellow of the American College of Trust and Estate Counsel (ACTEC), a professional organization whose membership is limited to attorneys who have demonstrated legal skills in probate, trust, and estate planning law. In 2012 the Federal Tax Institute of New England recognized Attorney Convicer with its achievement award for his service to clients, selecting him for his successful dealings with tax controversies and litigation with the IRS and the state taxing authority. He is a member of the Civil and Criminal Tax Penalties Section of the American Bar Association, the Tax Section of the Connecticut Bar Association and the Tax Section of the Massachusetts Bar Association. He has been recognized in Best Lawyers in America® and has been selected by his peers as a New England Super Lawyer®. Attorney Convicer is AV Peer Review Rated by Martindale–Hubbell, its highest rating. He is a frequent speaker before attorneys, accountants, and other business and professional groups.